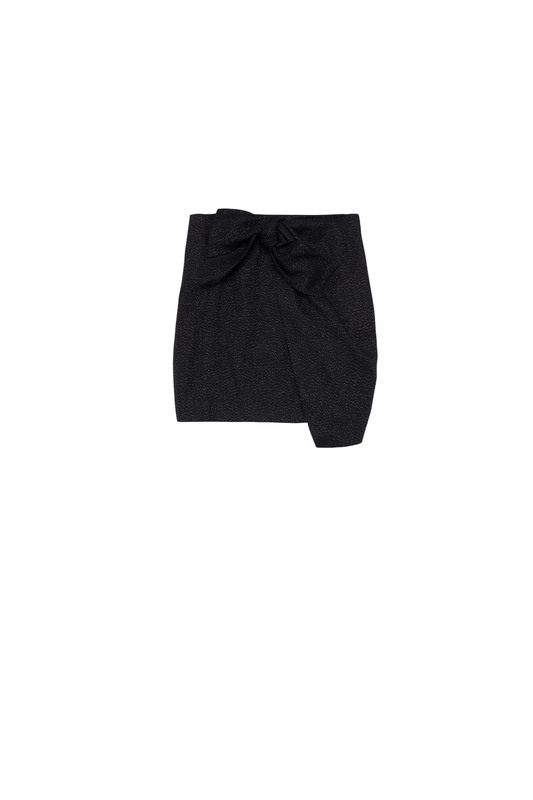 Chic high waisted mini skirt detailed with a tie-able wrap. Made in a fabric with elements of silver metallic thread and with a hidden zip at back. Total length in size 36: 47 cm. The model is wearing a size 36. Quality: 64% Polyester 33% Rayon 3% Silver Metallic / Care label: Wash separately inside out. Reshape when wet.